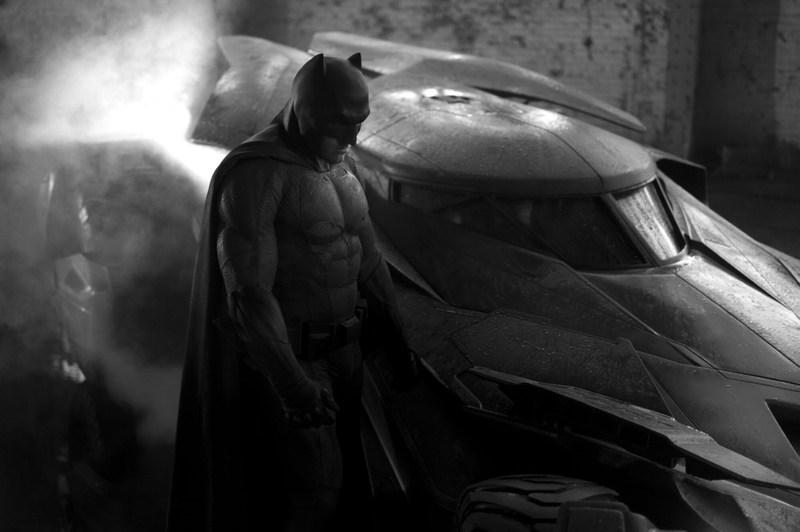 It looks like we can expect to see more of Ben Affleck as Bruce Wayne / Batman in the DC Cinematic Universe. Warner Bros is very high on the actor right now as the superhero, so much so that they’ve pushed his other two films back so that the actor can focus on his cape-and-cowl duties. Variety reports that The Accountant, which was slated for January 2016 has now been pushed all the way back to October 7 2016. And Affleck’s pet project Live by Night has been jammed all the way to 2017 with no specific date being given. The Accountant, which had J.K. Simmons and Anna Kendrick co-starring, is about an accountant (surprise!) who moonlights as an assassin. Bill Dubuque wrote the script and Gavin O’Connor is signed on to direct. Live by Night, which is set to be directed and written by Affleck, is an adaptation of a Dennis LeHane crime novel of the same name. What would make Warner Bros push back these potential big box office paydays? There are rumors going around that Zack Snyder recently screened a rough cut of Batman V Superman: Dawn of Justice and the execs at WB went head over heels for the film, especially Affleck’s portrayal of the Dark Knight. He’s gotten so much love that website Den of Geek is reporting the studio wants to sign the actor up for a three picture deal and get work started right away on new Batman solo films. News broke from San Diego Comic-Con that Affleck and DC Comics guru Geoff Johns were pretty much finished with one script already, and that film had a projected street date of summer 2018. The new focus apparently will be on Batman in this new Cinematic Universe. The writing was kind of on the wall for that one. When they announced Batman V Superman instead of a straight-up Man of Steel sequel, you had to figure Warner Bros wanted to get Batman involved in their new shared universe as quick as possible. This is only backed up by how much the studio has the character involved in Suicide Squad, the next film in the universe which streets just a couple months after BVS. There will always be fanboys who will get up in arms over the apparent ignoring of Christopher Nolan’s trilogy. And while Nolan did the impossible by bringing the character of Batman back from the brink of neon destruction, those films don’t quite fit into what Warner Bros is looking for now, which is kind of nice. I always looked at Nolan’s Bat-trilogy as its own pocket universe anyway. The whole world will get to see just what the execs at Warner Bros see in Ben Affleck’s Batman when Batman V Superman: Dawn Of Justice hits theaters March 25, 2016. This entry was posted in Breaking News, DC, Film and tagged Batman, Ben Affleck, DCCU, The Batman. Bookmark the permalink. Hansel and Gretel Will Return to Hunt More Witches!